Siltstone aims to offer investors exposure to real assets that provide uncorrelated returns, regular cash distributions, and hedges against inflationary risks. To maximize returns for our investors, we strive to directly manage our investments through a single-promote structure that reduces layers of performance fees charged by many of our peers. Target mineral and royalty rights that have a high probability of near-term development and cash flow generation. 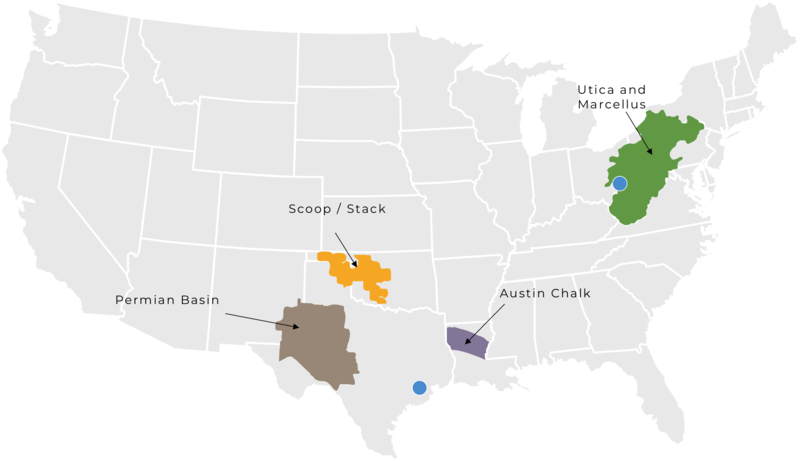 Identify working interest opportunities in the “core” of premier shale plays that have been overlooked by operators. Siltstone’s management team has broad and deep experience in the energy industry across many commodity price cycles. Our experience has allowed us to create a diversified portfolio of senior-ranking real assets with favorable risk/return profiles. Since inception, Siltstone has consistently achieved a mark above cost even during the recent commodity downturn. Our ability to preserve capital stems from our team’s technical and operational expertise that help minimize costs and generate higher returns. Over the last five years, we have developed a proven investment process that identifies overlooked opportunities, scales across multiple basins, and focuses on downside protection.